There is a Lawyer Down the Street Who Does Personal Injury and Wrongful Death Litigation. Why Shouldn’t I just Refer the Case to that Lawyer? It might be totally appropriate to ask this lawyer to help your client – Tennessee has many fine lawyers who practice personal injury and wrongful death law. 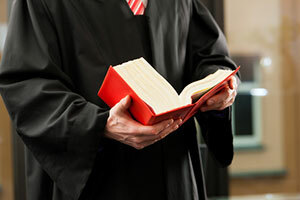 Whether you should refer a case to this lawyer depends on the expertise, experience, reputation, financial wherewithal, and workload capacity of that lawyer. He or she might be a good choice, but it would be a mistake to blindly assume that any lawyer who practices personal injury law can undertake representation in a complex tort case. Some examples may better illustrate this point. Lawyers who routinely write wills and handle matters in probate court will often refer out a client with a complicated estate that has significant tax ramifications. Lawyers who do divorce work often turn down divorce cases (or associate another lawyer) when one asset of the divorce is a large privately-held company, thus necessitating business appraisals, business planning, and complicated tax considerations. Lawyers who handle corporate and partnership matters frequently seek help when a client wishes to raise private capital from multiple sources, thus triggering state or federal securities law issues. Lawyers not only practice in different fields of law, but they also practice at differing levels of complexity within their given fields. The same is true in personal injury and wrongful death law. Lawyers who routinely and very competently handle simple motor vehicle accidents may lack the experience, expertise, or financial resources to handle a significant claim against a trucking company, much less a products liability case or health care liability case. Let us hasten to add that we are not in any way criticizing the work or value of lawyers who do not regularly handle significant or complex legal matters. Clients, and indeed our society, need high-quality legal services - lawyers who competently and honorably serve them – regardless of the complexity or nature of the legal problem. In fact, a portion of our own practice includes relatively simple personal injury cases, and we are happy to accept referrals of such less complex matters. Our point is simply that certain tort cases require significant levels of expertise, experience and financial wherewithal, and that these are important factors to evaluate when making a referral to another lawyer. Likewise, even relatively simple legal work requires experience, knowledge, and a client-service commitment. We bring these qualities to every case, be it a $10,000 intersection wreck or a $5,000,000 health care liability or truck wreck case, and we work diligently to advance the interests of each of our clients. six hours from when they are received. If John is unavailable, our Referral Specialist can either schedule a time for you to speak with him or connect you with one of our other lawyers who can discuss the referral with you. For more information about our firm, we invite you to peruse our website where we provide our Professional Honors and Awards, our Recent Successes and Client Testimonials.